LET US HELP YOU SELL MORE. Clutter: Our world is full of it, and brands everywhere are trying to grab consumers' attention. In order to do so, you've gotta break through the clutter. You've gotta get clever. You've gotta get creative. THE POWER IS IN THE LOCATION. Brandbumps break through the clutter and demands to be seen. Our goal is simple: We wanna help you sell more stuff and increase brand awareness. And we will do just that -- we have market studies proving so. You can be a retail owner looking to promote your own stores' branded products, your high margin items and simply anything in your store. Or, you can be representing a brand that is sold at a particular retail store that you wish to increase sales at. Either way, we've got those increased sales, brand recognition, brand awareness and so much more in store for you. Throughout communities all over the world, different events are constantly occurring, and, oftentimes, they need increased exposure and awareness. Whether you're a retail owner who's passionate about certain events within your community or if you are an event coordinator looking to increase awareness about your event, Brandbumps have got you covered. Got items that are on sale in your store that need promoting? Go ahead, put it on Brandbumps and make it known. Everyone going into your store has to pass by our panels, so it will be known. Brandbumps are designed to demand attention, and that is exactly what they do. The Fourth of July, Back to School, Black Friday, Christmas -- and essentially any other seasonal/holiday sales that you hold in your store -- can be promoted through Brandbumps. 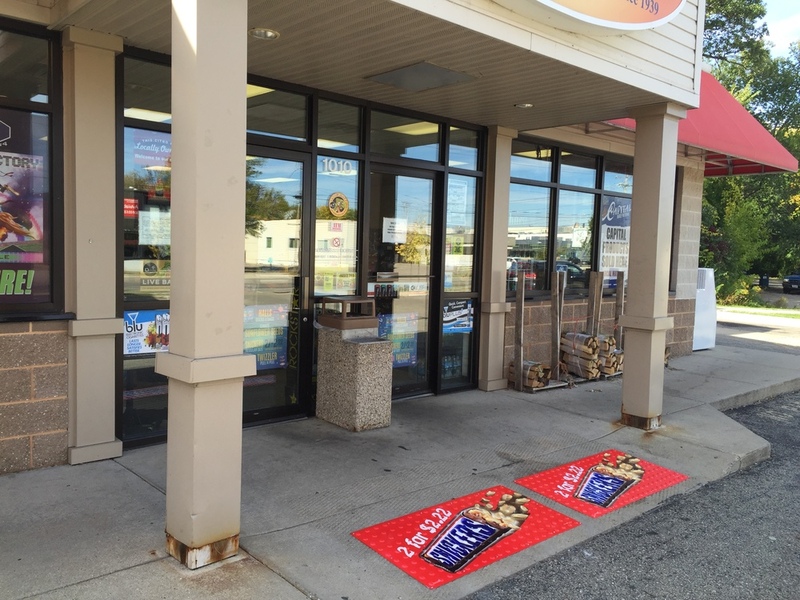 This way, everyone walking in and out of your store will be aware of your sale events. Get the word out there and let it be known in order to increase your sales!